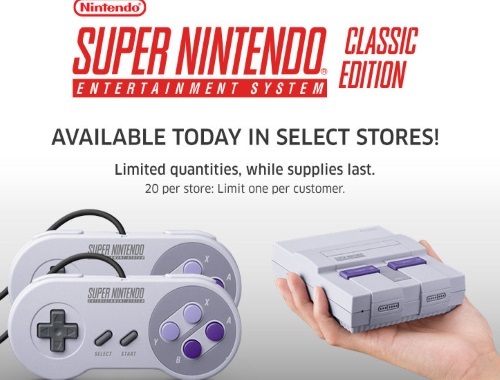 Canadian Daily Deals: The Source Super Nintendo Classic Edition Available Today! The Source Super Nintendo Classic Edition Available Today! The Source has released the Super NES Classic Edition! It is available to purchase at select stores now! Stock is limited to 20 units per participating store and will be sold on a first come, first served basis. Limit 1 per person. See participating stores at the link below, these will not be sold online.